Davina graduated from the Marquette University with a B.A in International Affairs and Spanish Language and Literature. She earned her J.D. from DePaul College of Law and Certificate in Public Interest Law. 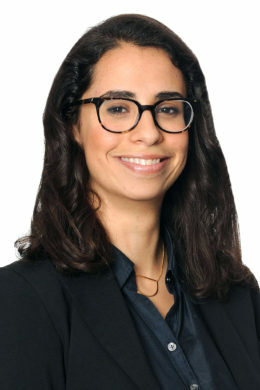 Davina is currently serving on both the Detainee and Asylum Committees of the Chicago Chapter of the American Immigration Lawyers Association. During law school, Davina worked as the paralegal for the Immigrant Legal Resource Project with the DePaul College of Law Asylum and Immigration Law Clinic. Davina also traveled to Harlingen, Texas to work as a volunteer with with the South Texas Pro Bono Aslyum Representation Project, helping unaccompanied minors and asylum applicants. She was a participant in the DePaul College of Law Chiapas Human Rights Practicum.